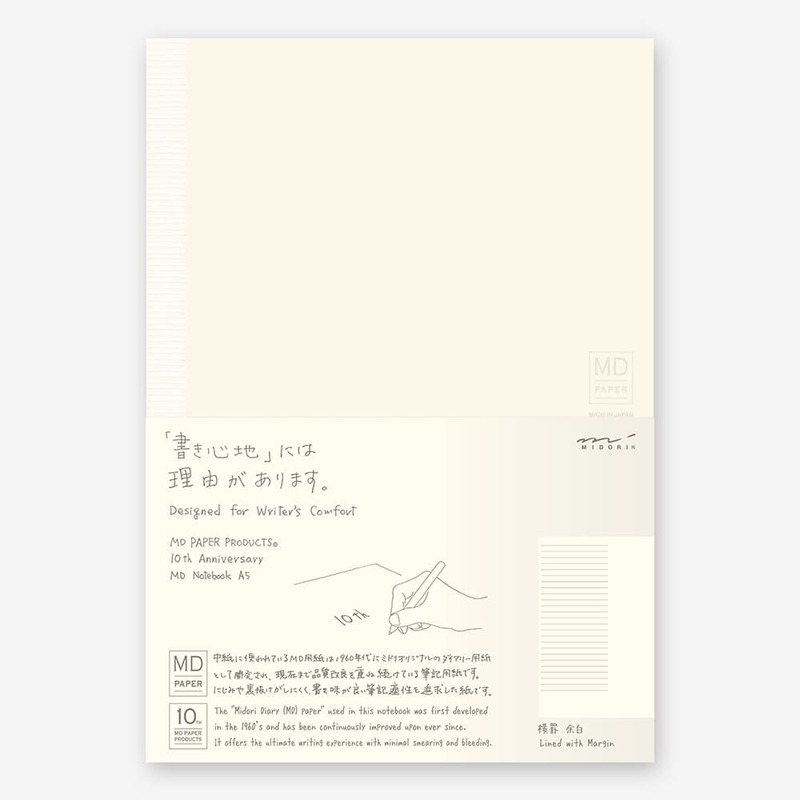 This is the Midori Notebook 10th Anniversary Lined with Margin. We have added a blank margin to the 7mm lined pages. The margin gives you space for jotting sketches, To Dos, and sudden inspirations. A new style that encourages freedom and creativity.